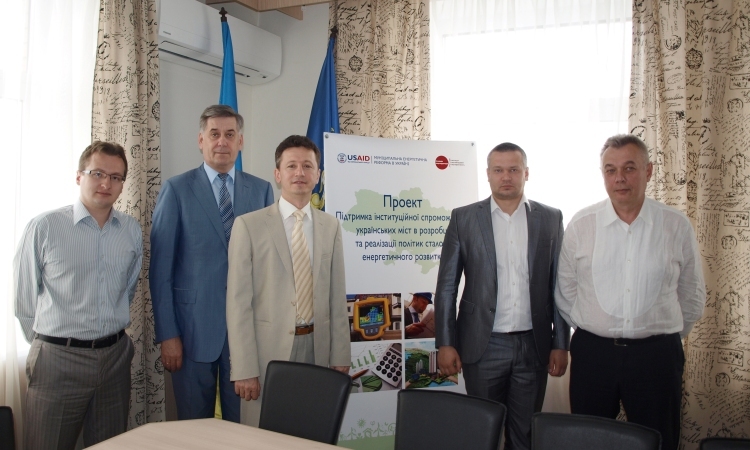 On May 27, 2015 in the office of Information and Advisory Center of Energy Efficiency at the Association of Ukrainian Cities was held the second meeting of the Competition Committee for selection of small and medium cities for receiving the technical assistance in the implementation of measures in energy management and energy efficiency. As a result of a difficult selection the winners were decided Drohobych and Burshtyn. We congratulate the winners and announce, that the project team is ready after the confirmation of results by Grantor to visit the winners for signing a memorandum of cooperation and coordination of the action plan of providing technical assistance in the implementation of measures in energy management and energy efficiency (development of sustainable energy action plans (SEAP), preparation of investment projects and business plans, introduction of the energy management departments and energy monitoring systems). Other participating cities will get remote consulting assistance from Association of Ukrainian Cities and Association of Energy Auditors in the implementation of the energy management and energy efficiency systems, in receiving of funding for projects in the field of energy audit and energy efficiency in accordance to methodological recommendations that will be developed during the project implementation. This initiative of the Project “Support of institutional capacity of the Ukrainian cities in development and implementation of sustainable energy development policies” will help small and medium cities in Ukraine to implement more actively their own energy efficiency projects with the participation of international financial institutions. In particular, it was formed during the Competition the first Ukrainian catalog of energy efficiency projects in small and medium cities, which can be implemented in the near future. More information on current events of project, on the financing of energy efficiency projects, reference and methodological information on energy audits, creation of the energy management departments and energy monitoring systems will be posted and updated on the web pages of the Association of Ukrainian Cities (www.auc.org.ua) and the Association of Energy Auditors (www.aea.org.ua), as well as on our Facebook page (www.facebook.com/energyauditors). The implementation of project “Support of institutional capacity of the Ukrainian cities in development and implementation of sustainable energy development policies” is supported by U.S. Agency for International Development (USAID). The aim of the project is to reduce Ukraine’s dependence on external energy resources through the development of financial mechanisms for implementation of local energy efficiency projects and increase of institutional capacity of the Ukrainian cities in development and implementation of sustainable energy development policies.